The Tanzania dairy value chain has been characterized by stagnation in dairy output and milk availability, leading to low milk consumption per capita. The slow growth in productivity is largely driven by limited access to quality and affordable inputs and services, and output markets, among other factors. Improved organizational models are required to enhance access to inputs and services, increasing farm-level cow productivity and production. 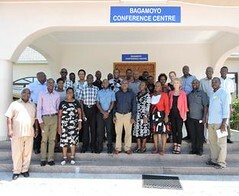 Working closely with development partners, the International Livestock Research Institute (ILRI) has developed an approach to collective action, referred to as a dairy business hub (DBH). A DBH contractually binds dairy services to a milk buyer, enabling farmers to access milk markets, as well as inputs and services. The hub model is particularly useful in circumstances in which smallholder producers are scattered and produce low volumes, making it costly for traders/processors, as well as input and business service providers to provide services to farmers. Success depends on the hub’s adaption to the meet constraints faced by the respective smallholder dairy farmers. Current contracts imposed by milk processors, cooperatives or chilling plants may involve clauses, such as lagged payments (monthly or fortnightly) or other quality standards, unattractive to some farmers. Some farmers may also prefer a milk marketing arrangement, accompanied by input and/or service provision to alleviate the onerous capital constraints. This study sought to determine the types of dairy business hubs smallholder dairy farmers in Tanzania would prefer and need. Download the brief: Rao, E.J.O., Mtimet, N., Twine, E., Baltenweck, I. and Omore, A.O. 2015. 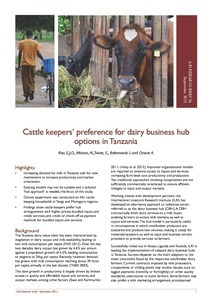 Cattle keepers’ preference for dairy business hub options in Tanzania. 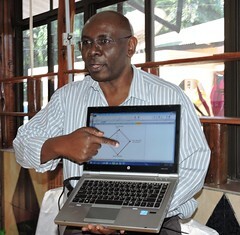 ILRI Research Brief 56. Nairobi, Kenya: ILRI. Tags: DBH. Bookmark the permalink. Venturing into dairy farming industry can ensure rapid economic growth of the rural people of Tanzania. Thank you!